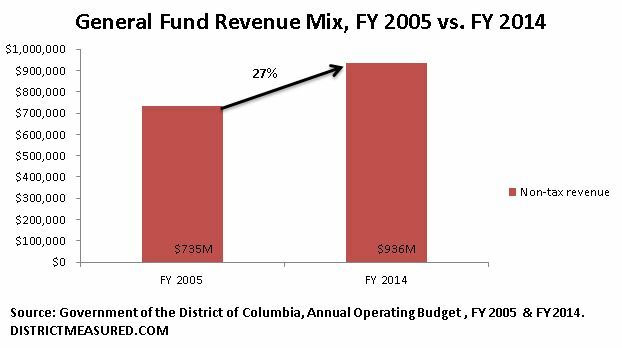 District of Columbia – Non-Tax Revenue Report – 9/2015http://cfo.dc.gov/sites/default/files/dc/sites/ocfo/publication/attachments/Non-Tax%20Revenue%20Report%20_September%202015.pdf — summaries of more than 150 non-tax revenue sources — lots of details on fees, esp. permit fees by type. The numbers do look very strange. Thanks. The study report referenced in the post will give you additional details about the numbers for over 200 different fees, fines, or any other revenue source.